For hundreds of years, it has been customary for people to enjoy a mint after a meal. Most have always assumed it was to ward off any bad breath from the meal. The truth is that mint is full of wonderful ingredients that can help the IBS sufferer to avoid the pain that symptoms can bring on. It has the amazing properties of a superfood and provides an uplift to both your mood and energy. Many people pop mints in their mouths all day long to prevent bad breath. Mint is a natural plant and in its plant form offers the best of its attributes as an anti-bacterial, energizer, and stomach calmer. Not only does mint mask the odors of bad breath, but it actually removes them with its anti-bacterial agents. It kills the odor-causing tannins on the tongue and in the mouth, truly refreshing the mouth and removing bad odors. For IBS sufferers, mint can be very helpful. Mint contains menthol, which helps to relax the stomach muscles and ease the digestive tract to stop the symptoms of IBS. The menthol in mint helps to ease stomach discomfort and is used by IBS sufferers during an attack and after each meal to prevent attacks. Not only does it help to stop stomach cramping and ease discomfort, but it also helps with nausea. Sometimes, just chewing on a fresh mint leaf can give instant relief, faster than any stomach medication possibly could. Along with the great benefits to IBS sufferers, mint also helps with focus and concentration. When you are feeling zapped of energy or have difficulty concentrating, one big whiff of fresh mint can open your levels of concentration and get you back into the zone for work, school, or other activities that require mental focus. Mint is also great as a cooling agent. Menthol has been used for centuries for sore muscles and on hot days. The menthol in mint actually sends a message to your brain, making it think that your body is cooler than it actually is. This gives you a cooling sensation that happens quickly and can be a real pick-me-up when the weather is hot or just after a workout. How to Eat Mint – Mints Aren’t Just for Candy Anymore! If your only experience with mint has been the red and white candies, then you are truly missing out on the world that mint has to offer! When eaten in the form of fresh leaves, mint provides a great taste sensation that lingers on the tongue, providing a clean and cooling sensation unlike any candy can offer. 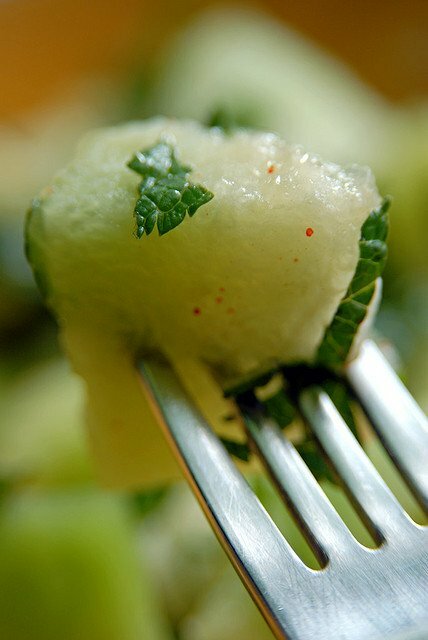 Mint pairs well with both sweet and savory dishes and provides a unique feel to almost any recipe. For an invigorating drink, you can blend up almond or coconut milk and mint. This is a great drink that will cool you off and energize your body. Try using mint in your fresh garden salads or diced over tomatoes. The possibilities are endless! When all else fails, chew the mint leaves themselves for an aid to the stomach. When tried in many different ways, mint offers an interesting taste and perks up many dishes that would be otherwise boring. Mint is in its most potent form when it is fresh. 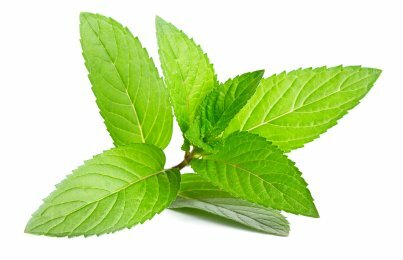 Dried mint loses much of its menthol and other attributes that provide calm to the stomach. If at all possible, try to purchase fresh mint whenever you can. One great tip that will keep you in mint all year long is to purchase a fresh sprig of mint from your grocer. Once you get home, cut the end of the stem and place it in a container of water. Make sure that the mint is not fully submersed, but only the stem end. In a few days, you will notice that roots are starting to form on the stem end. Keep the water changed at least once a week and you will soon have a thriving mint plant at your disposal. Chew on the leaves any time your stomach is upset, or you need a mental charge, and you will be feeling much better in no time. When purchasing mint, there are a couple of things to keep in mind. Like any green plant, mint will begin to show on its leaves when it is deteriorating. If the leaves are spotted, yellowed, or wilted, do not purchase the mint. The mint leaves should be a lovely green and should feel hairy. If possible, remove one of the leaves and crush it between your fingers. You should instantly smell a strong mint scent and you should feel a slight cooling on your fingers. This will let you know that the mint is still full of its essential oils. If you absolutely cannot find mint fresh, mint extract oil is another viable option. Make sure that you are purchasing true extract and not flavoring. Flavorings use fake mint flavor and will do nothing for you, other than make you smell like mint candy. Get the real thing and you will notice a huge difference in both flavor and benefits. Fresh mint can be found in almost any supermarket, especially in the spring when it is in season. Mint costs very little and from one sprig, you can quickly grow an entire patch, since the mint grows rapidly in the house or out in the garden. Try to enjoy mint in some form either with your meals or by chewing the leaves afterwards. This can help keep those IBS symptoms at bay and give you a wonderful freshness to your breath. It makes me want to buy a sprig and try to grow it like you explained. You also got the gears turning on the recipe side. I wonder how it would taste mixed in raw aloe vera gel. Maybe some fresh mint and a little stevia leaf… I might just have the best gut food on the planet that now tastes refreshing. Antibacterial properties may also improve the refrigerator shelf life of raw aloe. Thank you for the ideas. Michael, mint in aloe vera tastes good even without the stevia (I tried coconut sugar but it was too sweet) as long as you don’t put too much in or leave it too long before drinking. And that’s with aloe vera that’s probably quite inferior to yours in many ways. There are plenty of different types of mint to experiment with, too. I grow my mint in the kitchen window box to always have a fresh supply when I’m steaming peas or potatoes… but the cat keeps sleeping on it! Thank you, Liz, for the reply. How did you do it…. chop up a leaf and stir it in? Maybe a drop of pepermint essential oil? I think we are on to something here. Well, for veggies I just put a couple of sprigs on top, if steaming, or in the water if boiling. On strawberries, or with melon, I use scissors to cut up the leaves as small as possible without making a mash of them. However, in beverages the small bits of chopped leaves always seem to float to the top and stick to your lips or teeth… so I rumple a whole leaf (or two) between my fingers (the top two leaves are the best), and leave it in my 30ml dose of aloe vera which I cover and put in the fridge to keep cool. I don’t leave it more than five minutes at the very most but that’s plenty to get a subtle minty flavor. I’ve never considered essential oils in aloe vera – mainly because one drop in a glassful would probably be too strong for me, but also because I couldn’t afford to waste a litre of drink if the essential oils were to spoil it – too expensive ! I’ll therefore leave you to instruct me on that one once you’ve tried it yourself, Michael, lol. Hi Charles, is mint leaves available in Tropical countries like the Philippines? I suffer from digestive problems and had amoebiasis twice. I’m sick and tired of antibiotics and was looking for an alternative. Thanks! PS I like your articles, they’re very informative. I was actually thinking of shifting to paleo diet but I’m not sure if most of the ingredients are readily available in supermarkets in the Philippines. You can find fresh mint at SM Supermarkets, Sunday Market at the Lung Center, Cherry Foodarama and Santi’s. Probably at other places too. Sad to read about your amoebiasis. It can be very serious and I’m afraid that mint won’t have any effect on this parasite. Antibiotics can be very hard on your body and lead to a lot of other problems though. I’m not a doctor so I won’t tell you to stop taking them but please make your own research. There are a lot of natural and very potent foods/supplements to treat parasites. Also remember that parasites have a life-cycle. They can be in various stages from eggs to adults therefore you might get rid of some but not all. It is important that your course of action lasts long enough to kill the new-borns as well. 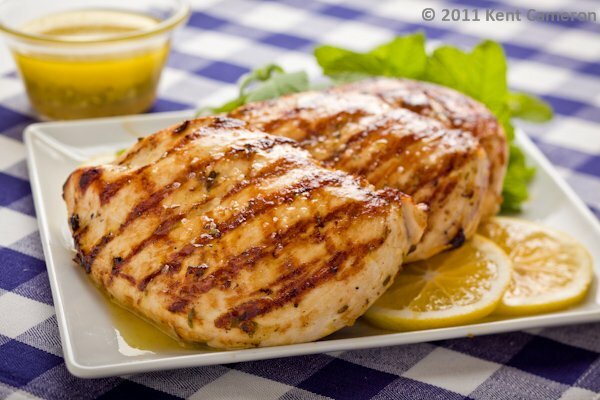 About the paleo diet, as long as you can find meat, poultry, raw veggies and fruits, then you have everything needed to start.